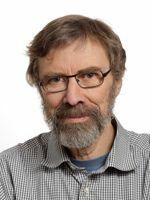 Knut Liestøl is the head of the Department of the Institute of Informatics at the University of Oslo and the study's current chief statistician with over 30 years' experience from the Oslo Ischemia Study. Prognosis of cervical cancer using image analysis of cell nuclei. How should we estimate confidence intervals for a ratio, for example, between counts of colony-forming cells? Menarcheal age and spontaneous abortion: a causal connection?